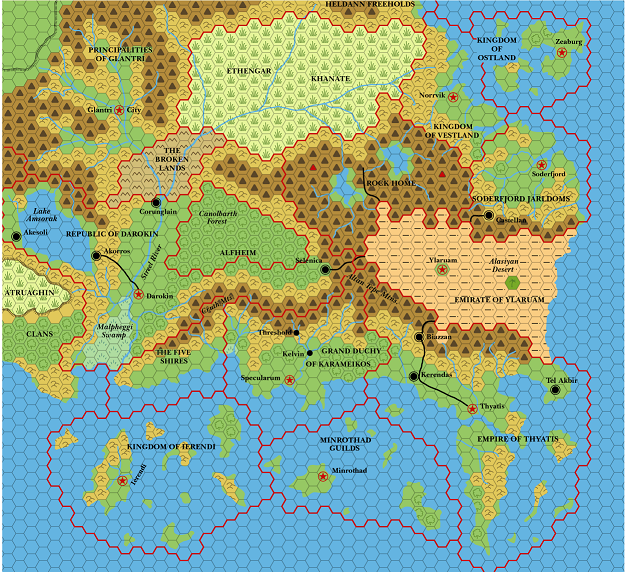 I am considering starting a Fantasy AGE PBP set in an original fantasy world that will be co-developed with the assistance of the players. Interested gamers should express their interest by replying. I am assuming you will be DM? If so, count me in. I'd want to play a Half-Elf, Half-Gnome rogue called Phuck. Actually his name is Puck but he's got buck teeth and an overbite. He wishes to be a bard (so I'm gearing towards swashbuckler / duelist). If you like the idea, tell me so, then I'll create the character. How do you want us to make the character? By die rolling or picking the traits ourselves? I would prefer it if you waited to see whether there are any other players before you did that, not to mention a few other steps in the process. But I can tell you right now that the name is a red flag. Let me explain what some of that process entails, since I think it might increase interest. Everyone knows that it's difficult to create a character without knowing what the world in which that character lives is like. But how do you get players interested in your fantasy world when there are so many others out there already? My solution -- give the players the opportunity to take part in the worldbuilding before they make a character. We start with a canvas. This might look a little familiar, perhaps you've read about some of these countries in a gazetteer or something. Forget everything you've been told about them, however, only the names are the same. Any of the details are open to revision, and the players in this campaign get to be a part of the revision. Each player can state six Facts -- single sentences, please -- about any of the nations, cities, towns or regions on this map. These Facts are true and will be added to the common knowledge about the world that all PCs share ... unless one of them contradicts another player's Fact, in which case neither statement is true and neither will be added to the common knowledge. Last edited by Davies; 08-17-2016 at 02:51 PM. Then I'll call him Taliesin, after the legendary Welsh bard. Anybody else interested? At all? I'd be up for it, yeah. Map's good, any setting information or houserules? We're largely making up the setting as a group. Each player can state six Facts -- single sentences, please -- about any of the nations, cities, towns or regions on this map. These Facts are true and will be added to the common knowledge about the world that all PCs share ... unless one of them contradicts another player's Fact, in which case neither statement is true and neither will be added to the common knowledge. Once we get that done, we'll get down to the business of character creation. Okay, this experiment doesn't seem to have succeeded. Of the two people who expressed an interest, only one has sent in their Facts, and I can't run a game of just one player. Unless things turn around tomorrow, I'll have to declare this matter closed.